According to the Bureau of Labor Statistics: "Medical laboratory technologists (commonly known as medical laboratory scientists) and medical laboratory technicians collect samples and perform tests to analyze body fluids, tissue, and other substances." Why Consider Medical Laboratory Careers? Is a career as a medical lab worker right for you? Working in a medical laboratory could be an excellent career option for you if you are interested in a medical job that does not require direct patient care or continual patient interaction. If you are more interested in the science and technology aspect of the medical field, as opposed to direct patient care, a medical laboratory job may be the perfect career track for you! Additionally, if you are comfortable with computers, medical equipment, and have an excellent attention to detail, you could be very successful in a medical laboratory role. What and Where Are Medical Laboratory Jobs? Some medical labs are housed in medical facilities such as a large hospital or clinic. Other medical labs are corporate owned labs that charge medical facilities for processing lab work as an outsourced service. Other medical labs may be university or government-owned labs that conduct research or analyze specimens for government healthcare providers. Therefore, as a medical laboratory professional, you could work as an employee of a corporation, a university, a government institution, or directly for a hospital or other healthcare facility. Medical laboratories are often well-lit, sterile environments with a lot of high-tech equipment for viewing and analyzing microscopic samples of human tissue or bodily fluids. 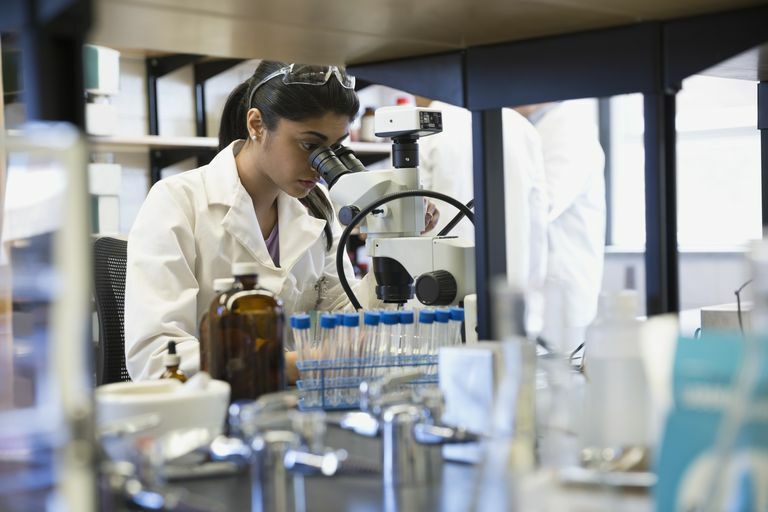 Working in a medical lab may entail many hours of sitting or standing, peering into microscopes or utilizing biomedical equipment to process slides and specimens. Additionally, some type of computer software will most likely be used for documentation purposes. Depending on the role and the type of specimens being handled in the lab, you may have to wear protective covering such as gloves, goggles, mask, or lab coat. If you tend to enjoy jobs that are technical in nature, and if you enjoy working relatively independently, working in a medical laboratory may be a good fit for you. The number of medical laboratory jobs is on the rise, expected to increase by 16% by 2024. That means training for a medical laboratory career is likely to pay off. Even better, jobs are available in most towns and cities, which means you may not need to move to find an opportunity in your field. Annual pay varies from the mid $30's to mid $60's, with the average salary at a little over $50,000. There are a variety of medical laboratory careers available at a variety of educational levels, from high school graduates to doctorate level professionals. Therefore, salaries for medical lab careers vary accordingly.